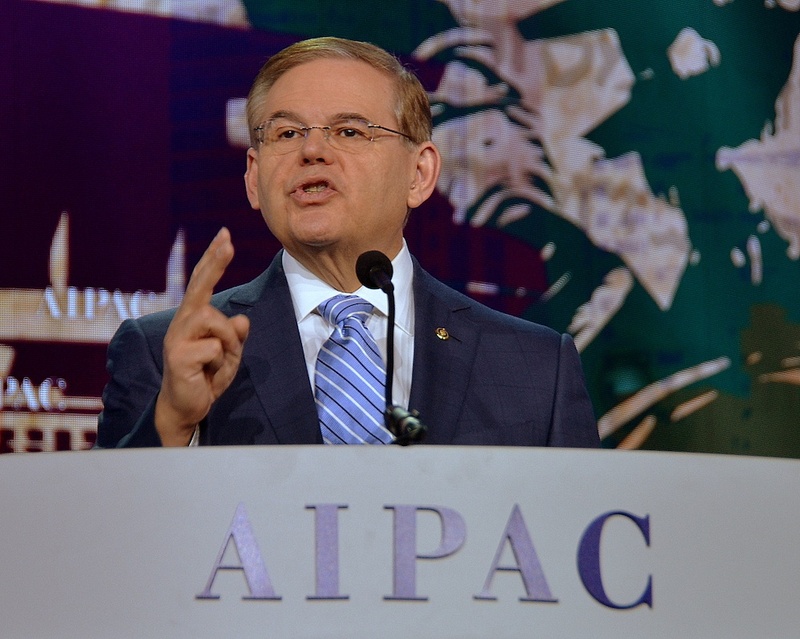 WASHINGTON, DC—For U.S. Sen. Robert Menendez (D-NJ), closing remarks at the recent American Israel Public Affairs Committee (AIPAC) conference publicly marked the start of a new phase in his relationship with the Jewish community. U.S. Sen. Robert Menendez (D-NJ) speaks at the American Israel Public Affairs Committee 2013 Policy Conference on March 5. Credit: Maxine Dovere. The Senator responded by expressing his admiration for the “incredibly hard working people” of New Jersey’s Muslim community. Menendez, in partnership with U.S. Sen. Lindsey Graham (R-SC), has co-authored a new resolution that calls on the U.S. to “stand with Israel and provide diplomatic, military, and economic support to the government of Israel in defense of its territory, people, and existence.” The resolution is expected to pass in the House and Senate. Soon after submission of the Graham-Menendez resolution, U.S. Reps. Ileana Ros-Lehtinen (R-FL) and Ted Deutch (D-FL) put forth a bill that would create a unique, legally acknowledged designation of Israel as a “major strategic ally” for the U.S.
“American security assistance to Egypt cannot be a blank check,” he said. “There can be no denying the Jewish people’s legitimate right to live in peace and security in a homeland to which they have a connection for thousands of years,” he said. “Our clear intention must be to prevent Iran from ever reaching nuclear capacity,” he said. Posted on March 11, 2013 by JNS.org and filed under Features, U.S..